Roman Abramovich, 10 billion US$ oligarch, winner of the Aluminum wars, owner of the worlds second largest superyacht, and until now perceived crony of Russian President Vladimir Putin, has bought two houses and is negotiating for at least one more on New York’s East 75th Street. The properties will cost about 70 million US$. New York papers report that Abramovich is planning to live there with his family because his wife prefers it for her work. 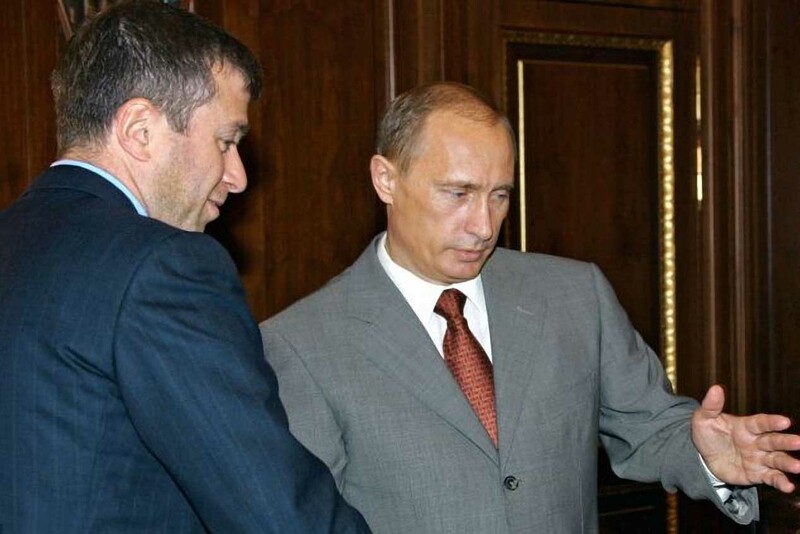 Abramovich, like most of his fellow oligarchs, is not targeted by Western sanctions. The war between the West and Russia is not only fought on Russian borders but also in Moscow and even deep inside the Kremlin. There is undoubtedly a fifth column at work who sympathizes with the West and tries to block and sabotage Putin’s policies. Ksenia Yudaeva, deputy head of the Russian Central Bank, has been removed, but her mentor, Sberbank president and former Economics Minister German Gref, remains influential. Putin adviser Sergei Glazyev, the only economic policymaker in the Russian government to have been sanctioned by the West, at the moment is still cut short by Gref, Belousov, Kudrin, Shuvalov, and affiliates. Which in Gref’s view is an apocalyptic scenario. As long as these people are not removed from their positions, Russian economic politics will not be coherent, but things are slowly changing. The standoff with the West about Ukraine has started a purification process which could see the oligarchs greatly diminished and put in their place. Putin himself is a liberal and not outright antagonistic to capitalism, but political necessity seems to have sharpened his mind. It will be interesting to see how this plays out in the next month and years. The following text is from Politrussia.com, written by Crimson Alter and translated by Kristina Rus. Will 2015 be the Apocalypse or the Renaissance of the Russian economy? Reading endless stories of schizo-patriots and liberals that the Russian economy will soon experience a complete collapse would be very amusing if these stories, shaped by the manuals of Rand Corporation, did not get on the nerves of real Russians. We all have a difficult year ahead, and to live with an eye on a “total collapse, looming on the horizon,” prognoses by the gloom-and-doom prophets of various colors is a dubious pleasure. To live in constant fear that “the oligarchs will overthrow Putin, knock him out with a snuff-box, and the time will come for the Patriotic Maidan to take Moscow,” is exhausting and debilitating. Yet it is easy to realize that all the whining and wailing has only the purpose of creating a public psychosis and that this plan will fail miserably when the audience notices certain facts which clearly indicate that the situation is moving in a completely different direction. The mentioned end-time scenario can alternately be formulated as the subjugation of the oligarchy and the installment of full state capitalism. Which would be a terrible disaster for the Russian economy, according to German Gref and associates. Actually, it would not be a disaster, but a renaissance. In the working plan about the structure of the Russian economy, the Kremlin decided to take into account the positive and negative experience of the crisis of 2008 with amendments to current geopolitical realities. By all indications, at the famous meeting with Russian business leaders, Putin gave the oligarchs a choice: work for the country (de-dollarization, participation in support of the ruble, the transfer of control over enterprises into Russian jurisdiction, etc.) or the state will ‘deal’ with them and take their property. Then there was a fork in the conversation. Some agreed with the recommendation and others not. The naysayers said: “I have a debt in foreign currency, and the ruble is floating free. So I am saving. You don’t have the right to force me“. They were replied: “Well, do as you wish. We have no right to force someone. But if tomorrow you will come to the government to ask for support, state guarantees, loans and in general… then don’t expect anything“. The oligarchs had time to think, but the first results appeared immediately. The decision of Alisher Usmanov to transfer control of his companies (Megafon, Metalloinvest) to Russia is an indication that the smartest oligarchs have already made their bets. One can only envy the foresight of Usmanov — his financiers began to break into the Chinese (Hong Kong) capital markets already back in summer and the process of transferring control of the offshore assets to Russia was started long before Putin’s “December ultimatum”. The ability to feel the essence of time is the key to survival in the current geopolitical conditions. 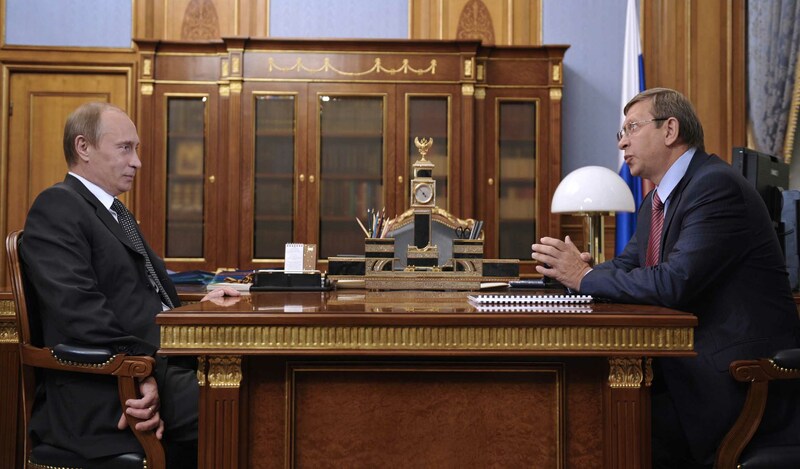 A very unexpected example of the correct orientation in the political space is the owner of AFK Sistema, Vladimir Yevtushenkov. 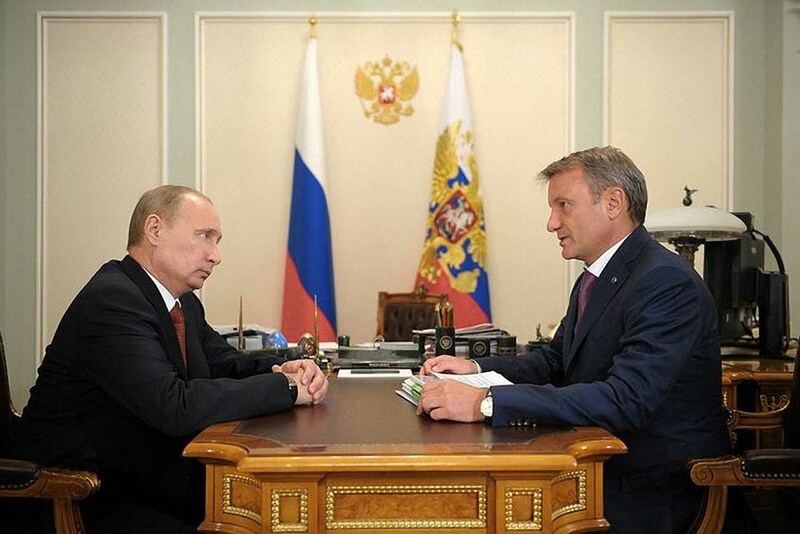 It would seem, in the context of Western court decisions in the Yukos case, the incredible pressure of the West on Putin, and the nationalization of Bashneft, that Yevtushenkov had all the reasons to become Khodorkovsky 2.0 — an icon of the opposition, a hope of the State Department, and an applicant for the post of Moscow’s curator after an oligarchic Maidan. In fact, many had expected this course of events. Instead, Yevtushenkov has completely turned around in just a few months. Many argue that it was Yevtushenkov who sold those 3 billion dollars which Putin recently mentioned as positive example. Moreover, Yevtushenkov had himself issued a black mark in the eyes of the West in a recent interview with Komsomolskaya Pravda. We can say that Yevtushenkov understood the true Zen of Russian life: even the oligarch is flesh of the flesh of the country. And those who consider themselves “above the borders,” “above the countries,” “above the law,” and argue that they couldn’t care less “what color rag flies over the House of Government”, will very soon be left without those assets, the owners of which they by mistake and misconception consider themselves. No revolutions and expropriations, Heavens forbid! The invisible, but no less real hand of the market will make the necessary corrections. According to Gref this is apocalypse, horror and disaster. In reality this is elimination of inefficient owners. And oil at 45 US$ plays no role here. It is that just the time has come for the business community of Russia to make a choice: to combine their interests with the interests of the country or to counter their interests to the interests of the country. Sitting on the sidelines is not an option, although the opportunity exists and is present especially for those who will try to play Maidan. Smart oligarchs are involved in the stabilization of the ruble, they help the process of de-dollarization and confirm their allegiance to the country by transferring control structures to Russia. This process will accelerate and it will be a major business trend of 2015. Let’s consider how the new state policy towards business manifests itself in the new environment. As a demonstration of two contrasting examples, we can look at two steel companies: Severstal and Mechel. OAO Severstal, the Russian steelmaker controlled by billionaire Alexey Mordashov, properly oriented itself in the new political context. Severstal regularly sells currency earnings and during its activities is not engaged in its accumulation. This was stated by Alexey Mordashov during an interview with TV channel Russia 24. Mining and steel company OAO Mechel, controlled by Igor Zyuzin, is not very well-versed in the political context and as a result, exactly what German Gref warned about is happening, although it would seem that, given the obvious vulnerabilities of Mechel, its owner should have been at the forefront of the “converted” oligarchs. On December 30, 2014, VTB bank sent a formal demand for repayment of debt and interest on two loans to Singapore Trading Mechel Carbon Pte Ltd through a local law firm Rodyk. On January 7 demands for the same loans were also sent to the traders of Mechel in Switzerland (Mechel Trading AG and Mechel Carbon AG). The bank demanded 47 billion rubles and 16 billion rubles, respectively. The bank operates through Betreibungsamt Baar (the state agency of Switzerland on debt collection). VTB confirmed the claims and added that they intend to submit a claim in Russia to recover the entire debt of OAO Mechel. According to the bank, overall the Mechel group owes VTB more than 70 billion rubles and more than 170 million US$. Special focus should be placed on the fact that two state banks (Sberbank and VTB) are bankrupting Mechel in response to the reluctance of Zyuzin to part with the property in a good way. Sberbank and VTB insist on the conversion of 75 percent of debt to Mechel shares through the additional share issue while main owner Igor Zyuzin, in turn, offers to restructure the debt with a repayment extension and conversion of foreign currency loans into rubles. And here it is worth recalling the words by an unnamed representative of the government, who warned the oligarchs “if tomorrow you will come to the government to ask for support, state guarantees, loans and in general… then don’t expect anything“. Everything goes according to plan, described by Gref as a catastrophe, but actually being beneficial to Russia. The state is using the economic and geopolitical situation to create (actually re-nationalize) via state-owned banks financial-industrial groups at the expense of those who do not fit into the market and into the mobilization era of Russian state-capitalism. By the way, Western banks wishing to participate in the process of “expropriation of property” for debts, should better write off their loan portfolios. They will only receive a pledge of shares concerning offshore assets, but the rightful ownership of Russian assets they will have to prove in a Russian court. Back in summer, Sergei Ivanov in an interview with Komsomolskaya Pravda hinted that some of his regular acquaintances, who are known for liberal views, realized that the Kremlin is right in its confrontation with the West, and that they will never be accepted as equals by Western capitalists. Now we see how this understanding generates quite tangible economic consequences, and the process of repatriation of capital and “conversion” of the smart captains of business is in full swing. Even today at an early phase of this prozess we can confidently assert that we will meet the end of 2015 in a completely different country. Whether you will like this other Russia depends on whether you like the scenario, in which the state will sharply increase its role in the economy at the expense of the oligarchs or even by the destruction of the oligarchy. This is of course only one aspect of a necessary economic reorientation. The questions of centralism versus localization, of a sustainable economy, of the perils of consumerism will all have to be addressed at one point. Curbing the excesses of capitalism will not be enough to improve the lives of Russians in the long term and to withstand the attacks of an unyielding and merciless imperial power. But it is a start at least. An article on Bloomberg News, though presenting a distorted and biased view, basically confirms the development of a rift between Putin and the oligarchs.